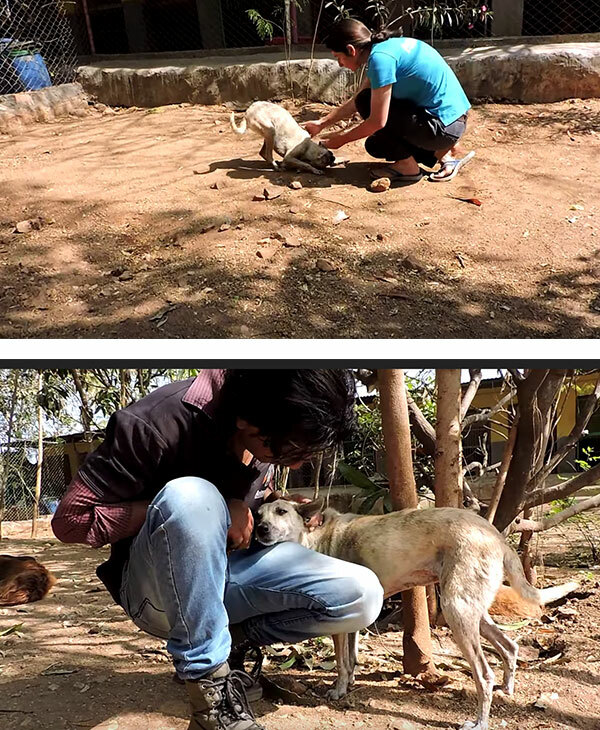 Everyday in India, there are several cases of animal abuse, namely dogs. A local rescue organization called Animal Aid Unlimited is dedicated to rescuing these dogs from a terrible fate on the streets and provide them with the care they deserve. A dog named Lola, was one of those dogs they have rescued. Animal Aid got notified over a call on their 24-hour hotline that a dog was found in a trash heap and was not moving from her spot. Animal Aid responded to the call immediately and rushed to scene with a small team, finally locating Lola over a guardrail. Poor Lola had just been simply tossed over a guardrail and left for dead in a trash heap. The rescuer jumped over the guardrail to take a closer look at Lola and was shocked to find out on why Lola did not move. 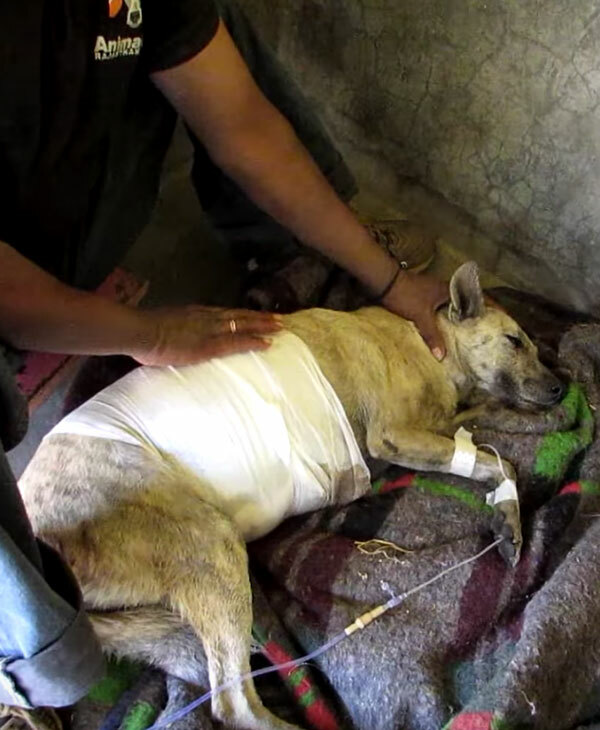 Lola had a gaping hole on her abdomen and was obviously in pain but still wagged her tail upon seeing her rescuer. She probably knew that this was the help she had been waiting for. The rescuer petted Lola a few times on her head to reassure her before wrapping her up in a blanket. He then carried Lola out of the trash heap and onto his vehicle. 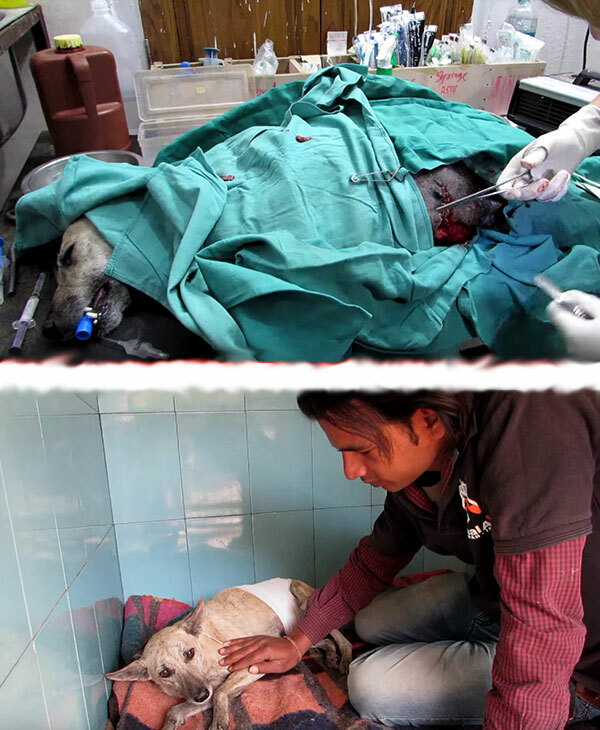 The rescue team brought Lola to a vet clinic, where the vet was shocked on the severity of her wound. 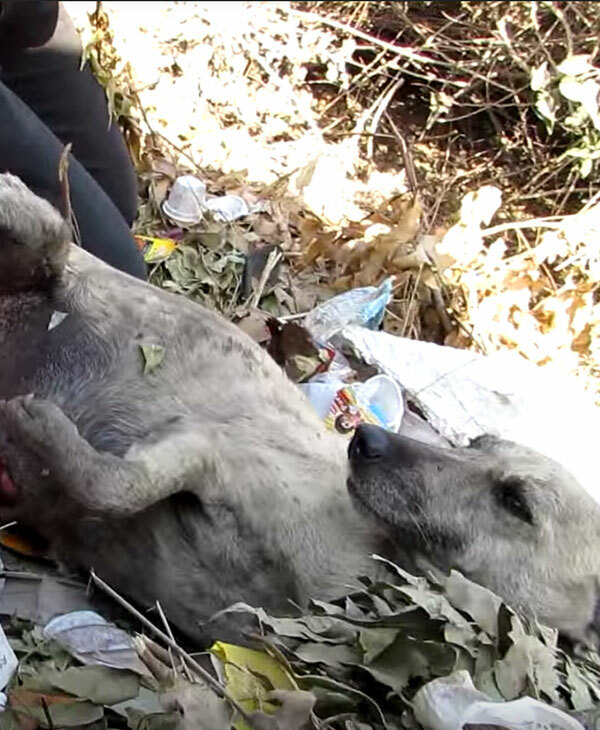 Her wound was so severe that they could see her internal organs, which could be injured. They cleaned her wound as best as they could before wrapping it up with medicated bandages to lower the chances of an infection. They had to wait for Lola’s condition to stabilize before they could operate on her. On the day of the operation, the vet managed to close up the wound successfully. Today, Lola is a healthy and happy dog. She has also been vaccinated and spayed after obtaining a full recovery from her surgery. Lola is well taken care of by the volunteers and now lives a carefree life in the Animal Aid sanctuary with the other rescued animals.